Sree Buddha College of Engineering is one of the pioneers in introducing the Bachelor Program for Electronics and Communication Engineering in Kerala. The department of Electronics & Communication Engineering, started in the year 2002, has carved a niche for itself by offering the most competent instructional programme to the students. At present the sanctioned intake is 60 with a provision of admitting six diploma holders in the third semester under lateral entry scheme. The department also offers M Tech programme in Embedded Systems from the year 2010 onwards. The sanctioned intake is 18. The department has well experienced faculty with postgraduate and doctoral qualifications from prestigious institutions with many publications to their credit. The faculty members regularly were updating their skills by attending and organizing refresher courses in their areas of specializations. The performance of our students in University examinations, GATE, CAT and such other competitive examinations are commendable. Most of the students get placement in reputed industries via campus recruitment. They also participate in intercollegiate competitions and used to present papers in national and international conferences. The department has well equipped laboratories and computing facility for conducting existing courses. In addition to the Central library there is a department library. Moreover it has a good collection of project reports, seminar reports and different journals and technical magazines. 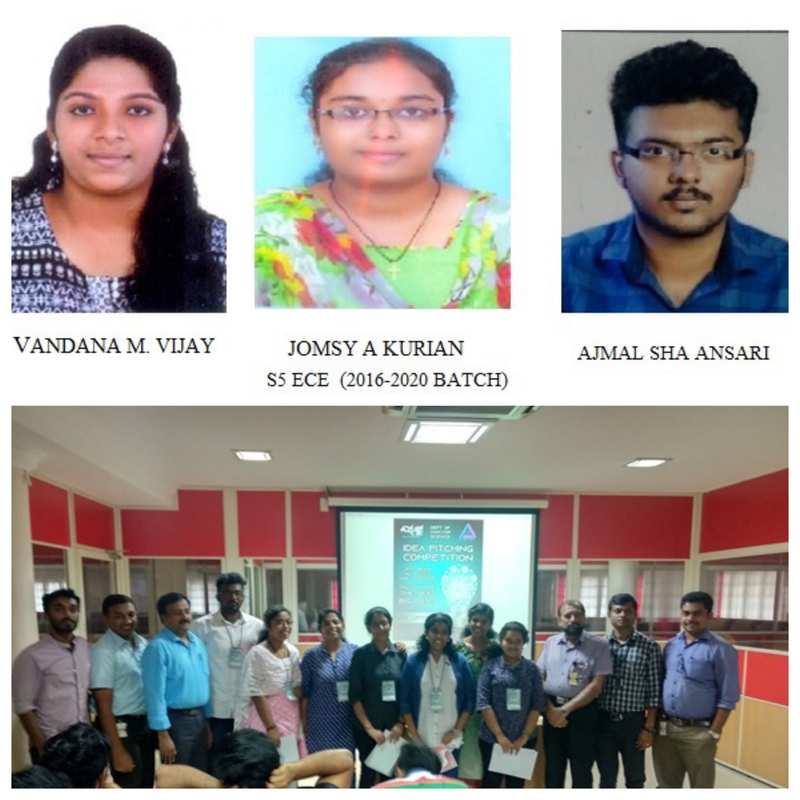 The Electronics Technocrats Association (ETA) of Electronics and Communication Department has been very active with the full participation of the students of all Semesters. Invited lectures by experts drawn from Industries and academic field are arranged regularly. To nurture professionally competent and socially responsible Electronics and Communication Engineers. Provide knowledge, facilities and value based education for developing competent engineers. Promote industry-institute interaction, lifelong learning and research. Inculcate ethical and interpersonal skills to address the societal needs. Mould graduates capable of analyzing, formulating and solving problems in electronics and communication sectors. Promote lifelong learning, research and entrepreneurship for professional development of graduates. Motivate graduates to address societal needs through sustainable and ethical practices. Apply modern design tools for effective product development. Develop solutions for various environmental, health and safety issues. PO-1: Apply knowledge of mathematics, science and engineering concepts to solve problems. PO-2: Design and conduct experiments, analyse and interpret data. PO-3: Design a system, component or process and formulate solutions to achieve desired needs. PO-4: Identify, formulate, research-through relevant literature review and solve engineering problems reaching substantiated conclusions. PO-5: Recognize the need for, and have the ability to engage in life-long learning. PO-6: Understand the impact of engineering solutions in a societal context and to be able to respond effectively to the needs for sustainable development. PO-7: Function effectively and understand the fundamental precepts of effective project management. PO-8: Understand professional, ethical and moral responsibilities. PO-9: An ability to work individually or as a team in a multidisciplinary environment. PO-11: Knowledge of contemporary issues. PO-12: To decide and apply appropriate tools and techniques in biological applications. 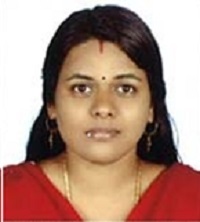 Ms. Pavitha P P took her B.Tech degree in Electronics and Communication Engineering, from Visvesvaraya Technological University, Karnataka in 2007 and M.Tech from Sir M. Visvesvaraya Institute of Technology, Bangalore. She started her career as a faculty of Electronics and Communication in 2007. 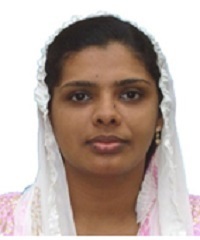 She is a member of Board of Examination for both B.Tech and M.Tech programmes in Electronics and Communication Engineering at Kerala Technological University. She has got a number of publications in conferences and journals. KEIL/XILINX Embedded development and design tools. Secured 2nd prize at IBeTo (Innovations for a Better Tomorrow) Excel 2018, held on 1st November 2018, organized by Govt. Model Engineering college Cochin, Kerala. ii. Prevent accidents at railway gates. 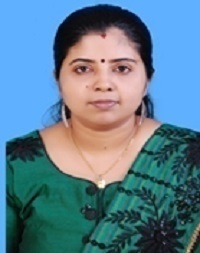 Ms. Monisha M, M.Tech Embedded Systems has received a financial assistance of Rs.9000 from Kerala State Council for Science, Technology and Environment for the project proposal “Ultra Low Power Gesture Based Self Security System for Women”. She is being guided by Ms.Pooja S Mohan, Assistant Professor, Department of ECE. 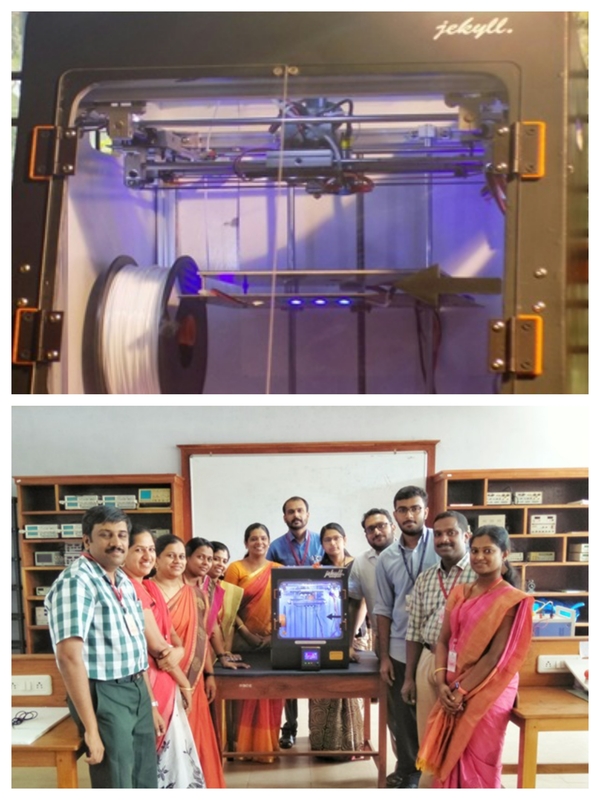 Ms. Surumi, M.Tech Embedded Systems has received a financial assistance of Rs.8000 from Kerala State Council for Science, Technology and Environment for the project proposal. She is being guided by Dr. S. Suresh Babu, Principal, SBCE, Pattoor. On 30th October 2018, a one day seminar was organized by Dept. of Electronics & Communication Engineering, under Prabodhana aiming to enlighten women community on breast cancer and cervical cancer. Breast cancer affects one in eight women. It is the leading cause of cancer in women. 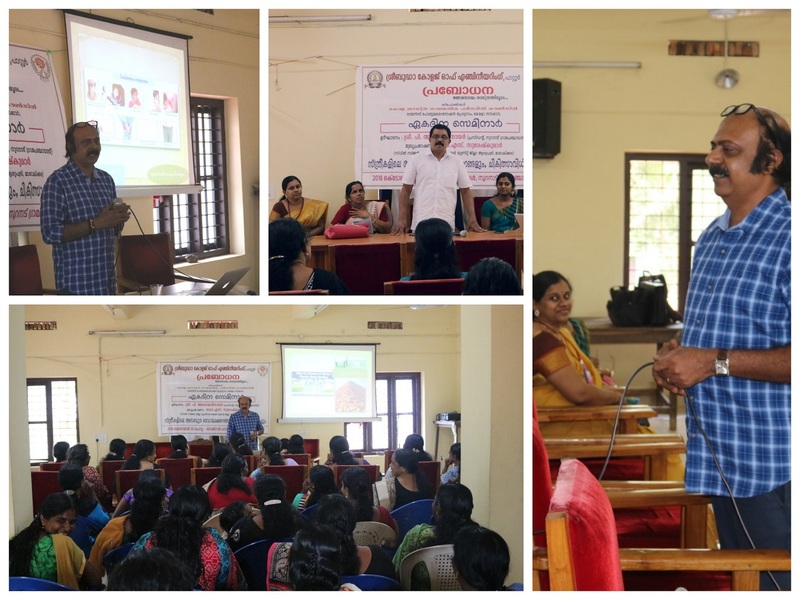 In light of October being the breast cancer awareness month, a seminar on ‘Breast Cancer – Diagnosis & Treatment’ was delivered by Dr. Suresh Kumar, Civil Surgeon, District Cancer Care Unit, Mavelikkara District Hospital. The talk also included awareness on self screening techniques and treatments for identification of various types of cancers. The event was conducted at Conference Hall of Nooranad Grama Panchayath. The activity was organized for about 100 women of Nooranad Panchayath. 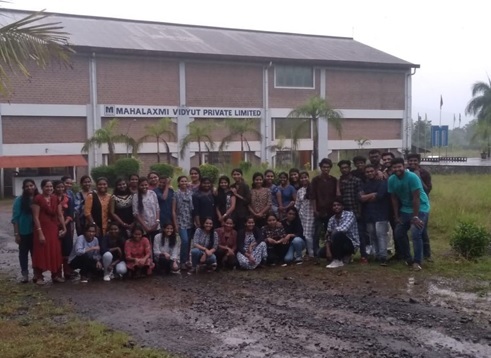 As a part of educational tour 39 students of S5 Electronics and Communication (2016-2020 batch) along with two faculty members had an industrial visit at ‘Mahalaxmi Vidyut Private Limited on 16/10/2018. They showed as various penstocks and generators currently used for power generation. It was an informative session for all of them. Mahalaxmi Vidyut Private Limited is a Private incorporated on 27 May 2004. It is classified as Non-govt company and is registered at Registrar of Companies, Pune. Its authorized share capital is Rs. 170,000,000 and its paid up capital is Rs. 119,550,000.It is inolved in Production , collection and distribution of electricity registered in 2016. Mahalaxmi Vidyut Pvt. Ltd. has gained immense expertise in supplying & trading of Ups etc. The supplier company is located in Pune, Maharashtra and is one of the leading sellers of listed products. 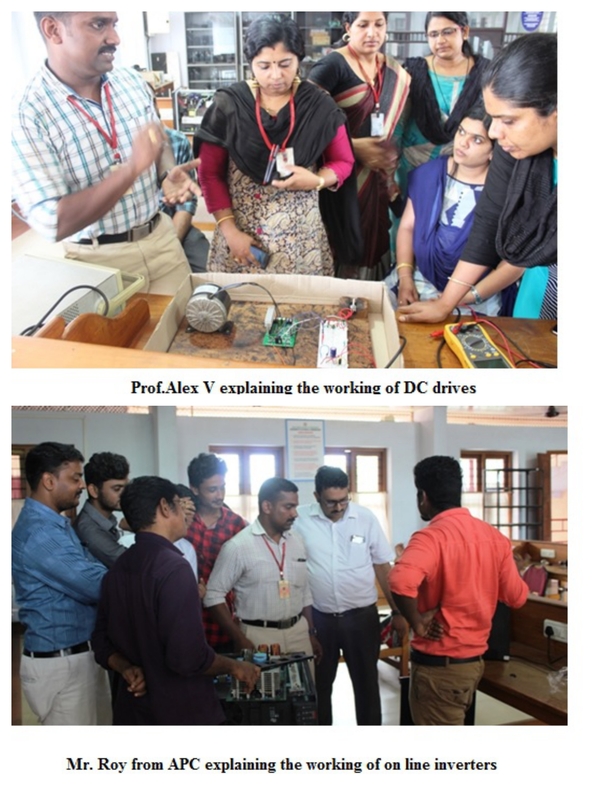 The department of Electronics and Communication, Sree Buddha College of Engineering Pattoor organized a 5 Day Faculty Development Program on “Modern Trends in Power Electronic Devices, Circuits and Applications” from 18/06/2018 to 22/06/2018. 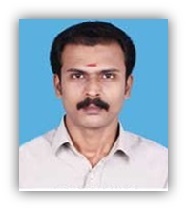 The function was presided by Sri K K Sivadasan, Treasurer, SBCE Pattoor. 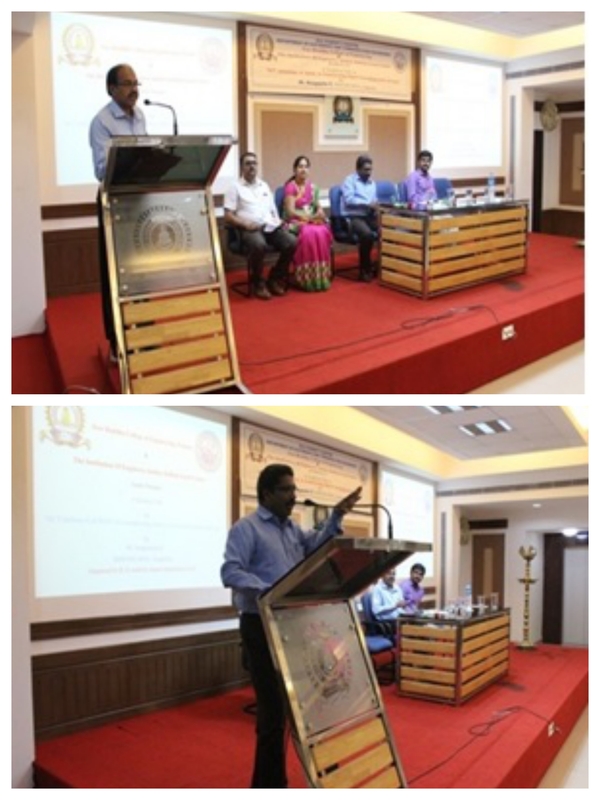 Dr.S Suresh Babu Principal SBCE expressed his well wishes to the department and Prof. Alex V for taking initiatives for arranging such a program. He also detailed about the future trends and scope in the field of Power Electronics. The 5 day FDP started with lectures by prominent faculty, and then followed by Lab sessions and hands on practices. Experts from APC (American Power Conversion Corporation) displayed and demonstrated the working of their Inverters and Smart UPS; this was actually a new experience for the participants as they were able to see the industrial implementation of the theory learned. 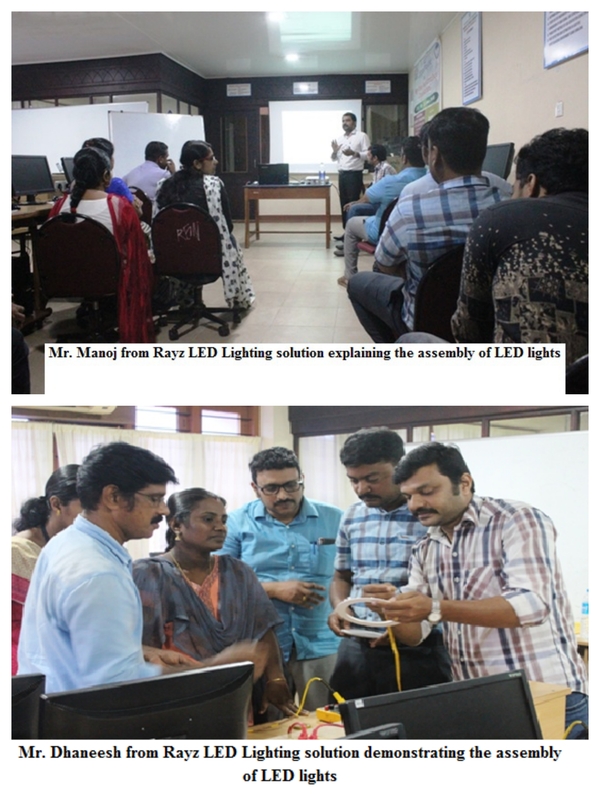 Rayz LED Lighting solutions, Kollam gave hands on session on how to assemble a LED light by oneself in a very cost effective way and can be commercialized. The FDP was attended by faculties from various colleges. 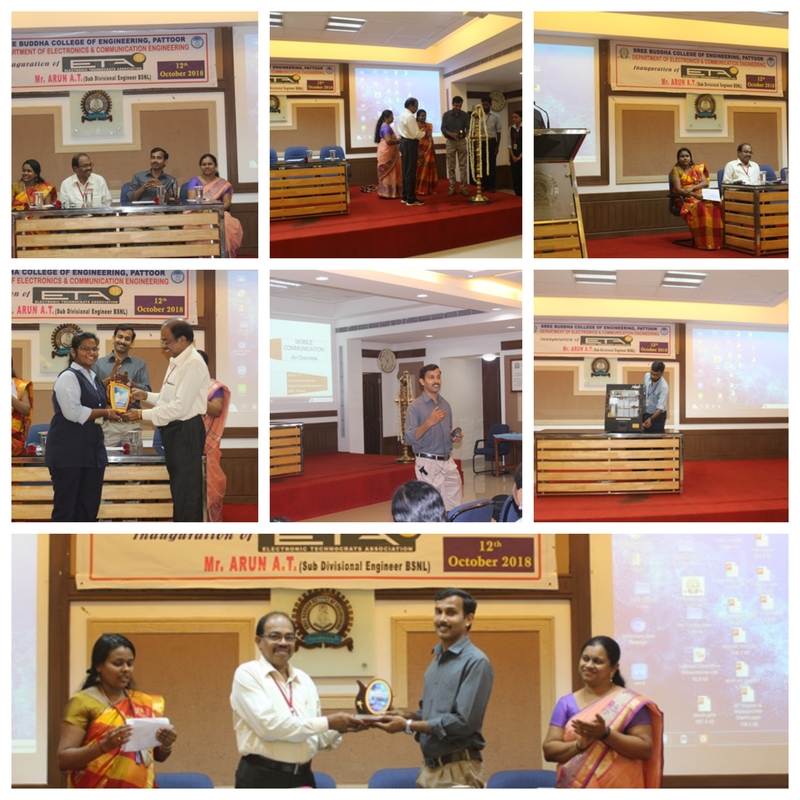 IE (I) student’s chapter Department of Electronics and Communication, Sree Buddha College of Engineering along with Institution of Engineers India Kollam Local Centre organized a technical talk on “ICT initiatives of BSNL in transforming Indian Telecommunication services” as part of “The World Telecommunication Day” on 19/06/2018.The function was presided by Dr. S Suresh Babu Principal SBCE, Pattoor and the chief Guest for this function was Mr.Venugopalan S, DGM (OP) BSNL Alappuzha. A Two day National conference on “VLSI AND EMBEDDED SYSTEMS TECHNOLOGY ADVANCEMENTS” (VESTA 18’) was held at Department of Electronics & Communication Engineering on 17th & 18th April 2018 as part of E2F2’18. The registration for conference starts at 8.30 am on 17th April 2018. All participants were provided conference kits along with a lunch coupon. The common inaugural function of E2F2’18 held at conference hall , Library Block ,SBCE. 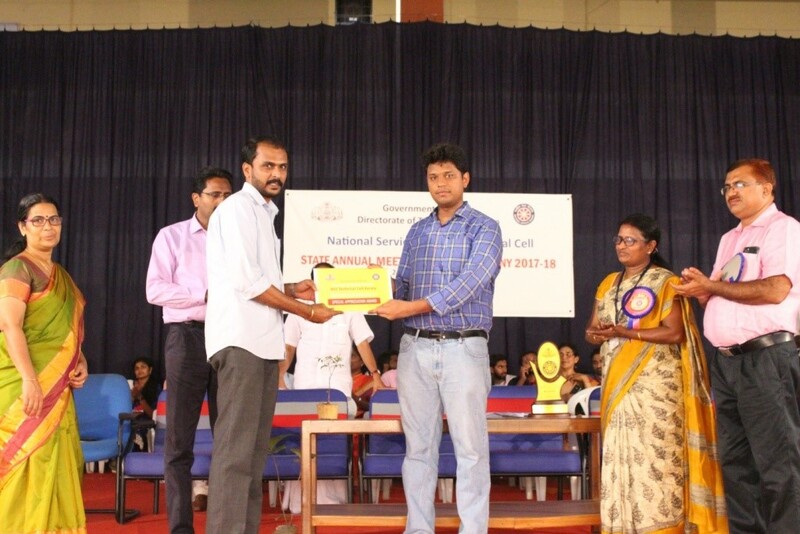 Padma Shri Dr.G.Shankar was the chief guest for inaugural section. The inaugural section was came to an end by 11.30 am. In the technical session of VESTA’18, we have conducted paper presentation on 17th April 2018 and poster presentation on 18th April 2018 from 1.45 p.m to 2.30 p.m. The technical session of VESTA’18 commenced at 12 noon at System Lab of ECE department. In the technical session of the conference, the conference chair person was Dr.Sreeni K.G.,Professor ,Department of ECE , College of Engineering, Trivandrum. 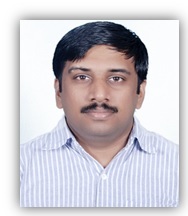 He was co-chaired by Ms. Ambika Shekhar, HoD ,Dept. of ECE,SBCE and Mr. Alex V., Asst. Prof., Dept. of ECE,SBCE. 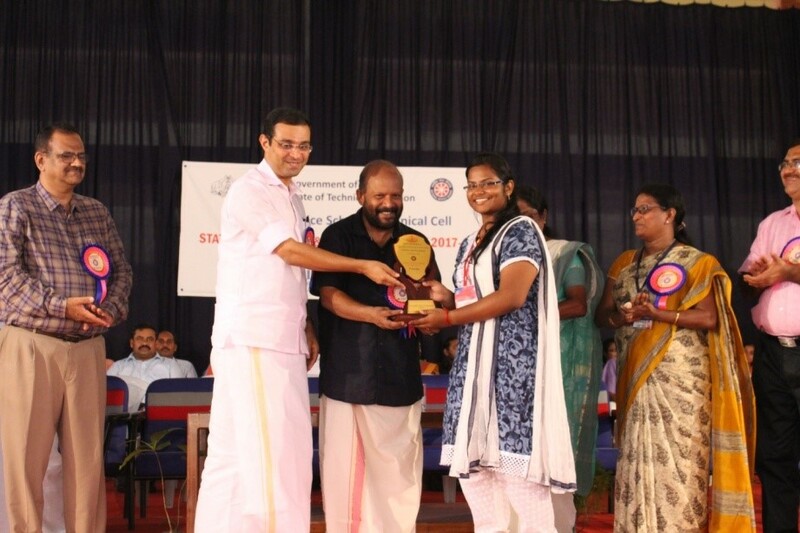 Ms.Ashly Thomas ,PG Scholar from TKMIT, Kollam won the best paper Award and Ms.Zaiba ,PG scholar from SBCE won the second paper Award .The prize and certificates for best paper and participation certificates were distributed by Dr.Sreeni K.G. On 18th April 2018, we conducted poster presentation. Poster presentation was peer reviewed by Ms .Ambika Sekhar, HoD, Dept .of ECE,SBCE., Mr.Jayaraj V.S, Asst. Prof., Dept. 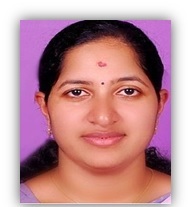 of ECE,SBCE & Ms. Pooja S.Mohan, Asst. Prof., Dept. of ECE,SBCE. The certificates were distributed to all participants and co-authors who presented the papers in VESTA’18. 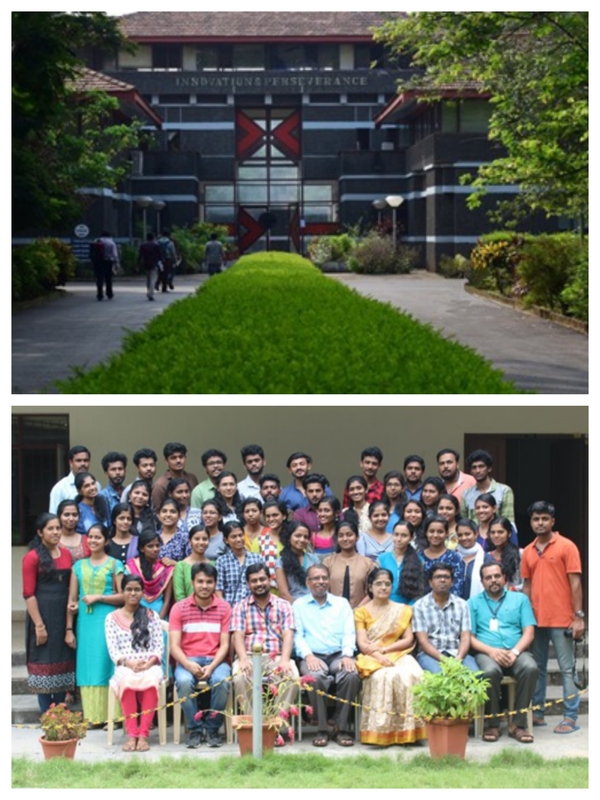 The students of 8th Semester Electronics and Communication Engineering Department of Sree Buddha College of Engineering had attended a One-Week Internship at National Institute of Electronics & Information Technology (NIELIT), Calicut from 12th March 2018 to 16th March 2018. NIELIT is an autonomous body of Ministry of Electronics and Information Technology, Govt. of India. This centre is a premier organization for education, training, R&D and consulting in IT and Electronics. We completed a One week course on “Customized training in IoT”. 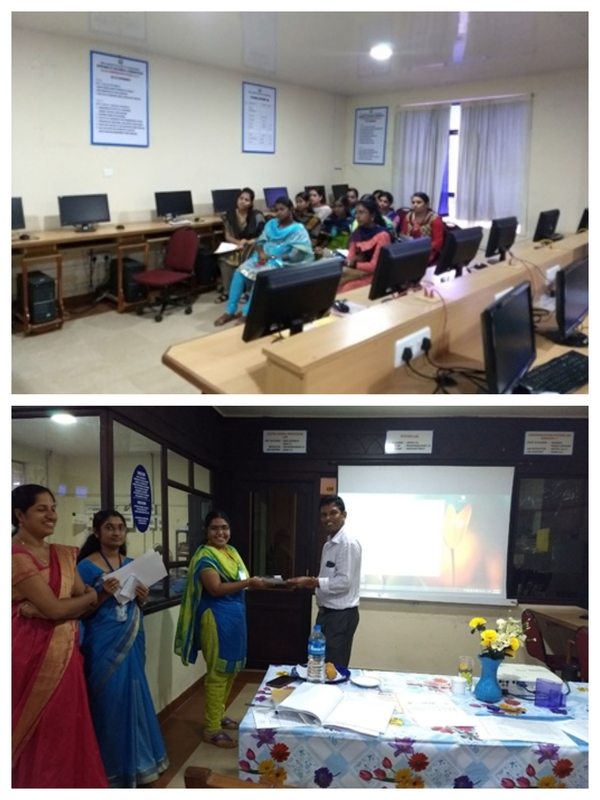 Total 45 students attended the Internship held at NIELIT. 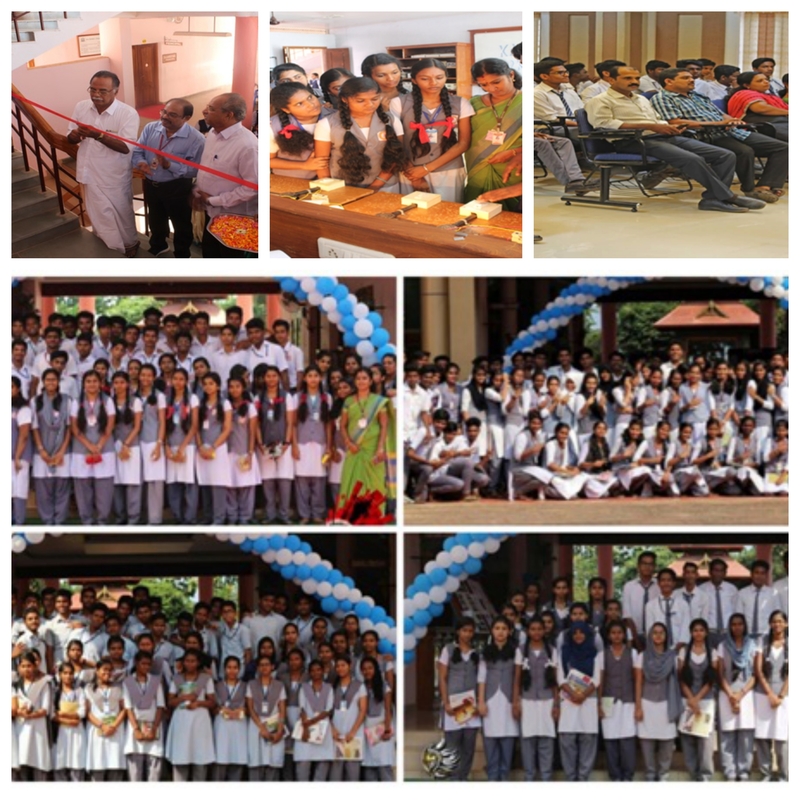 ETA is the association of the Electronic & Communication students of Sree Buddha college of Engineering. The association aims at improving the technical skills of the students by organizing and conducting different workshops and technical competitions. In the after noon session ETA conducted an idea pitching competition “PITCH PERFECT” and teams from various departments participated. The Department of Electronics and Communication Engineering in association with ETA (Electronics Technocrats Association) conducted a Technical exhibition, KANOPUS’18 on 29th January, 2018. 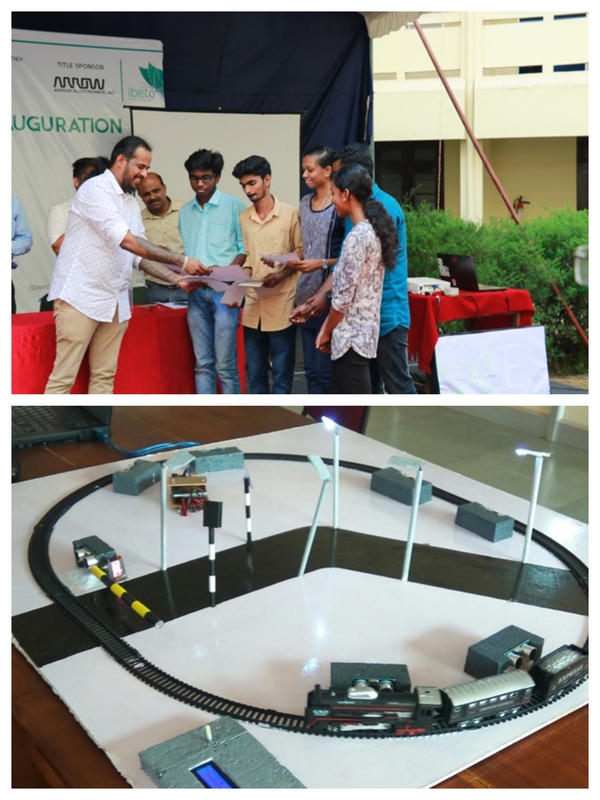 Kanopus ’18 was organised with the key objective to exhibit the technical skills of the students by providing a platform to encourage innovative ideas and practical knowledge. The exhibition was aimed for higher secondary school students, to get an exposure about the Engineering field especially Electronics and Communication Engineering. The exhibition was conducted at the ECE block and was inaugurated by Prof. K Sasikumar, Chairman of Sree Buddha College of Engineering. The inauguration ceremony was graced by the presence of Sri. 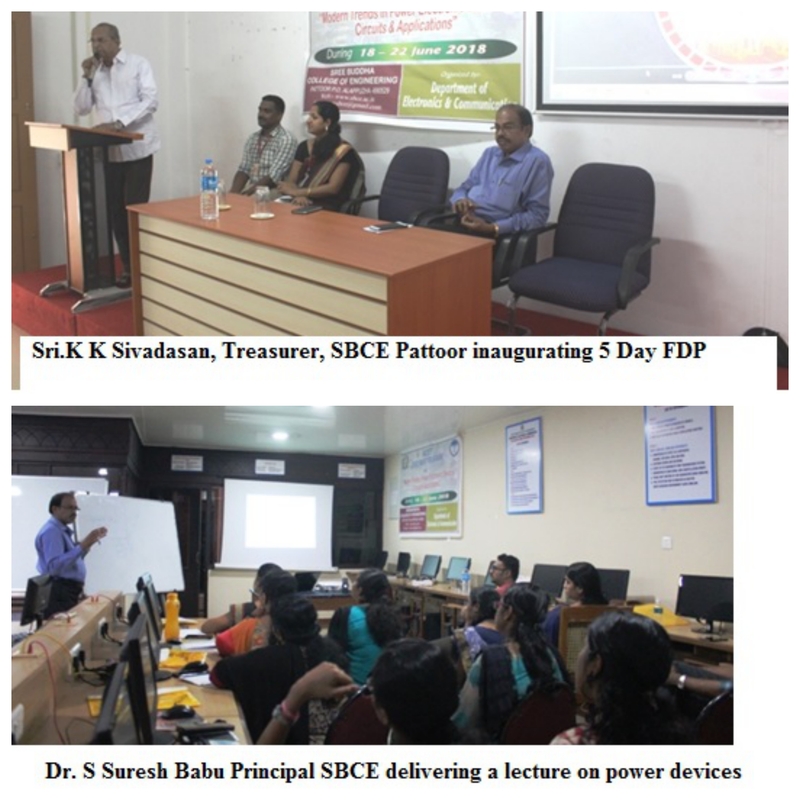 K K Sivadasan, Treasurer of SBCE, Dr. S Suresh Babu, Principal of SBCE, and Prof. Ambika Sekhar, HoD of ECE Dept. The HoD’s of other department, faculty members and students also attended the inaugural ceremony. Aida Alexander, Sabi S,” Intelligent Transportation System for Safe Driving”, APJ Abdul Kalam Technological University & KSCSTE -KETCON February 2018. 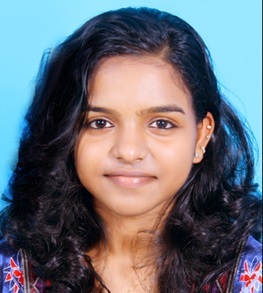 Arunima A.R, Vishnu V.S.,” Video Restoration Method for Real Time Fog-Free Vision in Vehicles”, APJ Abdul Kalam Technological University & KSCSTE -KETCON February 2018. Indu Chandran, Athira Shaji,” Low cost Wearable Ankle Rehabilitation Robotic Device for stroke patients”, APJ Abdul Kalam Technological University & KSCSTE –KETCON February 2018. 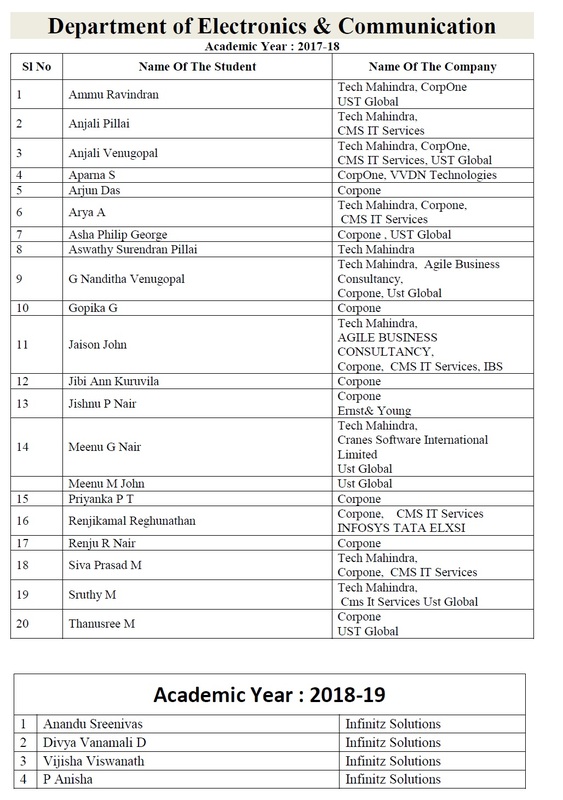 Nithya V.S, Dr.S.Suresh Babu,’’ Random Neural Network Based Embedded Controller for Occupancy Monitoring”, APJ Abdul Kalam Technological University & KSCSTE –KETCON February 2018. Zaiba, Ambika Sekhar,” Brain Machine Interface and Visual Compressive Sensing On Robot”, APJ Abdul Kalam Technological University & KSCSTE -KETCON February 2018. Aida Alexander, Sabi S.,” Intelligent Techniques for Smart Transportation System”, International Multi – Conference on Computing, Communication, Electrical & Nanotechnology.-I2CN2K18, April 2018. Arunima A.R, Vishnu V.S.,” Video Restoration Based on Linear Transformation Method for Real Time Fog-Free Vision In Vehicles”, International Multi – Conference on Computing, Communication, Electrical & Nanotechnology.-I2CN2K18,April 2018. Nithya V.S, Dr.S.Suresh Babu,” Embedded Controller for Energy Efficient Occupancy Monitoring”,International Multi – Conference on Computing, Communication, Electrical & Nanotechnology.-I2CN2K18, April 2018. Zaiba, Ambika Sekhar,” Human Robot Interface and Visual Compressive Detecting on Robot Arm”, International Multi – Conference on Computing, Communication, Electrical & Nanotechnology.-I2CN2K18, April 2018. Aida Alexander, Sabi S.,” A safe driving system for Intelligent Transportation”, National Conference on VLSI & Embedded System Technology and Advancement, VESTA’18, E2F2 April 2018. Arunima A.R, Vishnu V.S.,” Fog-Free vision system for Real time Vedio Restoration in Vehicles”, National Conference on VLSI & Embedded System Technology and Advancement,VESTA’18, E2F2 April 2018. Indu Chandran, Athira Shaji,” Wearable Ankle Rehabilitation Robotic Device for stroke Rehabilitation”, National Conference on VLSI & Embedded System Technology and Advancement, VESTA’18, E2F2 April 2018. Nithya V.S, Dr.S.Suresh Babu,” Energy Efficient Random Neural Network Based Embedded Controller for Occupancy Monitoring”, National Conference on VLSI & Embedded System Technology and Advancement, VESTA’18, E2F2 April 2018. Zaiba, Ambika Sekhar,” Human Machine Interface and Visual Compressive Sensing On Robot Arm”, National Conference on VLSI & Embedded System Technology and Advancement, VESTA’18. Anandu R, Dr.S.Suresh Babu,” Embedded Speaking Module for Deaf and Dumb”, National Conference on VLSI & Embedded System Technology and Advancement, VESTA’18, E2F2 April 2018. Vidhu Vinod, Athira Shaji,” Interconnection of Vehicles for competent traffic conveyance system”, National Conference on VLSI & Embedded System Technology and Advancement, VESTA’18, E2F2 April 2018. Raihana Rasheed, Jasmin Basheer,” Automated Railway Platform Bridge”, National Conference on VLSI & Embedded System Technology and Advancement, VESTA’18, E2F2 April 2018. Asha Philip, Ambika Sekhar,” Enhanced Fall Detection System using Sensors and Android Application”, National Conference on VLSI & Embedded System Technology and Advancement, VESTA’18, E2F2 April 2018. Sreeshma mol, Anu V.S.,” Centralized Monitoring For Cab and Women Employee Security System”, National Conference on VLSI & Embedded System Technology and Advancement, VESTA’18, E2F2 April 2018. Steffy Sunny, Pooja S Mohan,” Head Motion Based Robotic Wheelchair”, National Conference on VLSI & Embedded System Technology and Advancement, VESTA’18, E2F2 April 2018. Surumi M.S, S. Suresh Babu (2017) FPGA based Implementation of Secured Hummingbird Algorithm, IEEE International Conference on Innovations in Information, Embedded and Communication Systems (ICIIECS), Vol-IV, 978-1-5090-3293-8. Surumi M.S, S. Suresh Babu (2017) FPGA Implementation of Secured Humming- bird Algorithm, National Conference on energy technologies in Kerala Technological congress (KETCON) by Kerala Technological University. Surumi M.S, S. Suresh Babu (2017) Design and Implementation of FPGA Based Secured Hummingbird Algorithm, National Conference on Eco-friendly Technological Innovations for Sustainable Development (NCETISD). 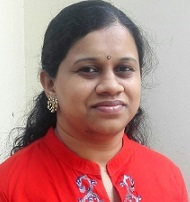 Geethu G Nath , Anu V S (2017) Embedded Sign Language Interpreter System For Deaf and Dumb People, IEEE International Conference on Innovation in Information, Embedded and Communication Systems (ICIIECS),Vol IV, 978-1-5090-3293-8. Geethu G Nath , Anu V S, (2017) “Real Time Sign Language And Voice Recognition System For Deaf And Dumb People Communication”, National conference on Ecofriendly technological innovations for sustainable development (NCETISD) . Monisha M, Pooja S Mohan (2017) An Novel IOT Based Approach To Establish An Ultra-low Power Self Security System IEEE Conference On Innovations in Information, Embedded and Communication Systems (ICIIECS), 978-1-5090-3293-8, Volume-IV, 2017. 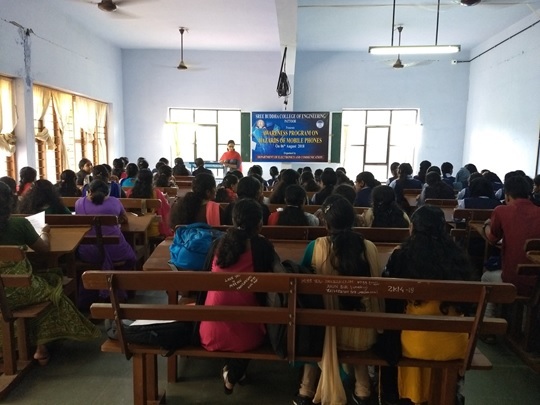 Monisha M, Pooja S Mohan (2017) A Novel Hardware Architecture to Establish a Security System for Women National Conference on Eco-friendly Technological Innovations for Sustainable Development (NCETISD), Engineering Education for Facing the Future. Monisha M, Pooja S Mohan (2017) A Real-Time Embedded System for Human Action Recognition Using Template Matching IEEE conference on Electrical, Instrumentation and Communication Engineering (ICEICE). Communication, International Conference on Telecommunication, Power Analysis and Computing Techniques (ICTPACT-2017). 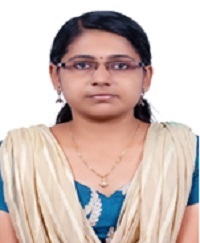 Aiswarya Raj, Pavitha P.P (2017) , Green IoT Enhanced PAWS For Monitoring Air Quality,IEEE International Conference on Innovations in Information, Embedded and Communication Systems(ICIIECS),Vol-V, 978-1-5090-3293-8. Aiswarya Raj, Pavitha P.P (2017), Air Quality Monitoring PAWS Based On Green IoT, National Conference on Eco-friendly Technological Innovations for Sustainable Development (NCETISD). 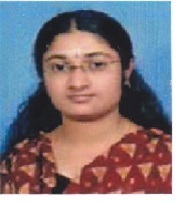 Keerthi S Thampi, Saritha N R (2017) WG Stream Ciphered Coding For CDMA Technology To Enhance Security, IEEE international conference on innovations in information, Embedded and Communication Systems(ICIIECS) Vol-IV, 978-1-5090-3293-8. 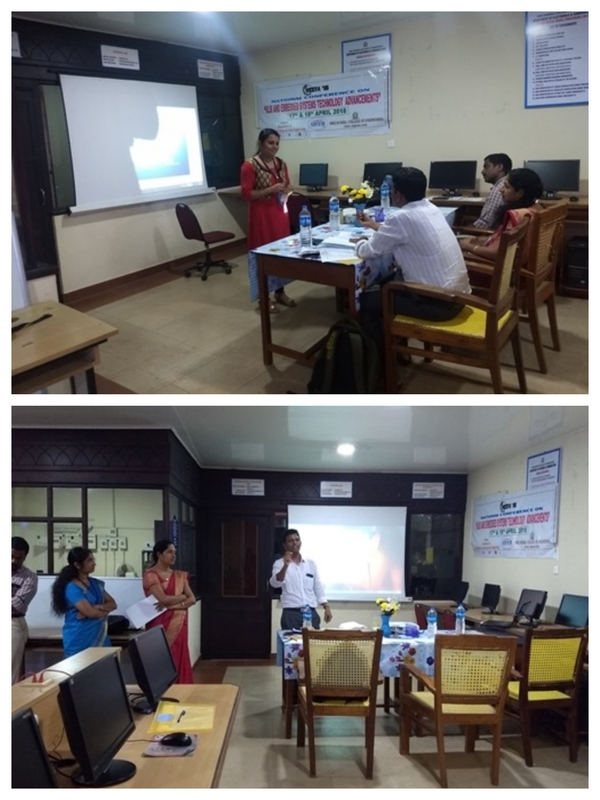 Keerthi S Thampi, Saritha N R (2017) FPGA Implementation Of WG Stream Ciphered Coding For CDMA Technology, National Conference on Eco-friendly Technological Innovations for Sustainable Development (NCETISD). 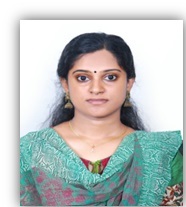 Haritha Nair L, Ragimol (2017), AHRS Based Body Orientation Estimation of Real Time Fall Detection, IEEE International Conference on Innovations in Information, Embedded and Communication Systems(ICIIECS) Vol-V, 978-1-5090-3293-8. Haritha Nair L, Ragimol (2017), An Efficient Real Time Fall Detection System for Elderly Based on AHRS, National Conference on Eco-friendly Technological Innovations for Sustainable Development(NCETISD). 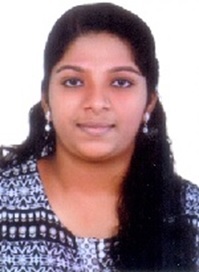 Chandana C Nair, Athira Shaji,(2017) A high speed VLSI implementation of parallel decoder for Single And Double Adjacent Error Correction IEEE International Conference On Telecommunication, Power Analysis and Computing Techniques (ICTPACT). 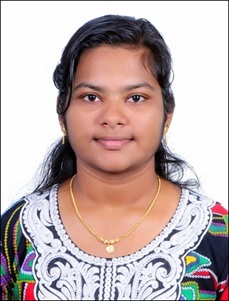 Chandana C Nair, Athira Shaji,(2017) A high speed VLSI implementation of parallel decoder for Single And Double Adjacent Error Correction National Conference On Eco-friendly technological innovations for sustainable development(NCETISD). Vidya Chandran, Ambika Sekhar (2017) A Robust Approach to Optimize Channel Error Correction Capability of Picode, IEEE International Conference on Innovation in Information, Embedded and Communication Systems (ICIIECS),Vol IV, 978-1-50903293-8. Vidya Chandran, Ambika Sekhar (2017) A Secure and Reliable Channel Error Correction Technique for Picode, National Conference on Eco-friendly Technological Innovation for Sustainable Development (NCETISD). Vidya Chandran, Ambika Sekhar (2017) A Secure and Reliable Channel Error Correction Technique for Picode, IEEE International Conference on Electrical, Instrumentation and Communication Engineering (ICEICE). Sruthy S Nair,Vishnu V S, (2017) Enhanced RISC processor Design using MIPS Instruction set and BIST, IEEE International Conference on Innovations in Information, Embedded and Communication Systems (ICIIECS) Vol-IV, 2017, 978-1-5090-32938,pg:489-493. Kripa Mariam John, Sabi S (2017) ECC Processor Architectures for Low Area And High Speed Implementations, Kerala Technological Conference. Kripa Mariam John, Sabi S (2017) Distinct ECC Processor Architecture For High Speed And Low Area Performances, National Conference On Eco-friendly Technological Innovation For Sustainable Development (NCETISD). Kripa Mariam John, Sabi S (2017) A Novel High Performance ECC Processor Architecture With Two Staged Multiplier, IEEE International Conference On Electrical Instrumentation And Communication Engineering.